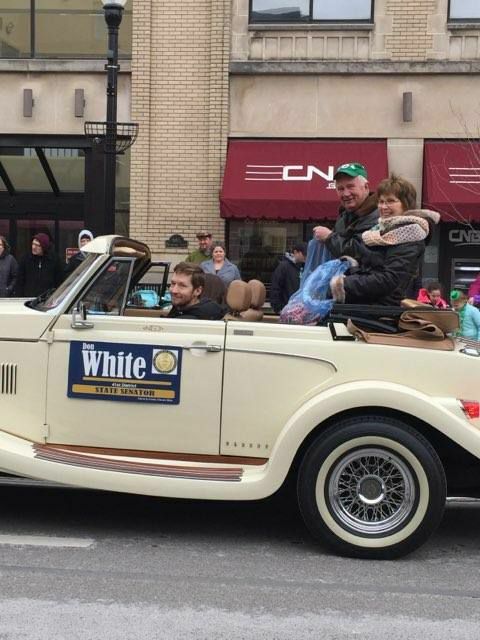 It was truly a pleasure to participate in Indiana’s St. Patrick’s Day Parade. The deadline for Pennsylvanians who served in the Persian Gulf Theater of Operations — including Operations Desert Shield and Desert Storm — to apply for the Persian Gulf Conflict Veterans’ Bonus is approaching. The bonus program was originally set to expire in 2015 before the enactment of Act 50 of 2015, a measure that extended the application period to August, 31 2018. Approximately 9,500 Persian Gulf veterans have applied for the one-time cash bonus program since the Department of Military and Veterans Affairs (DMVA) began accepting applications in 2008. The DMVA is encouraging veterans who were previously denied the bonus to reapply to have their claims reviewed again. Applications and more information are available online at www.persiangulfbonus.state.pa.us. I am pleased to report that the Pennsylvania Department of Transportation recently unveiled a new license plate to honor and recognize the men and women serving in our National Guard. Act 108 of 2016 authorized PENNDOT to issue license plates for members of the United States Armed Forces including reserves and the Pennsylvania National Guard in addition to the wide array of specialty motor vehicle license plates that honor veterans and those who were recognized for meritorious service. Click here for more information about all of the specialty plates available for veterans and active duty personnel. PENNDOT is now offering an online application for REAL ID pre-verification for customers who are interested in obtaining a REAL ID and obtained their first driver’s license or photo ID card after September 2003. The pre-verification will reduce the time and paperwork needed to receive a Pennsylvania REAL ID when they become available in Spring 2019. REAL ID is optional for Pennsylvania residents. A federally accepted form of identification — a Pennsylvania REAL ID driver’s license or ID card, a U.S. Passport/Passport Card or a military ID, etc. — will be required to board a commercial flight or visit a secure federal building beginning October 1, 2020. More information is available by clicking here or calling PENNDOT’s Customer Call Center at (717) 412-5300. 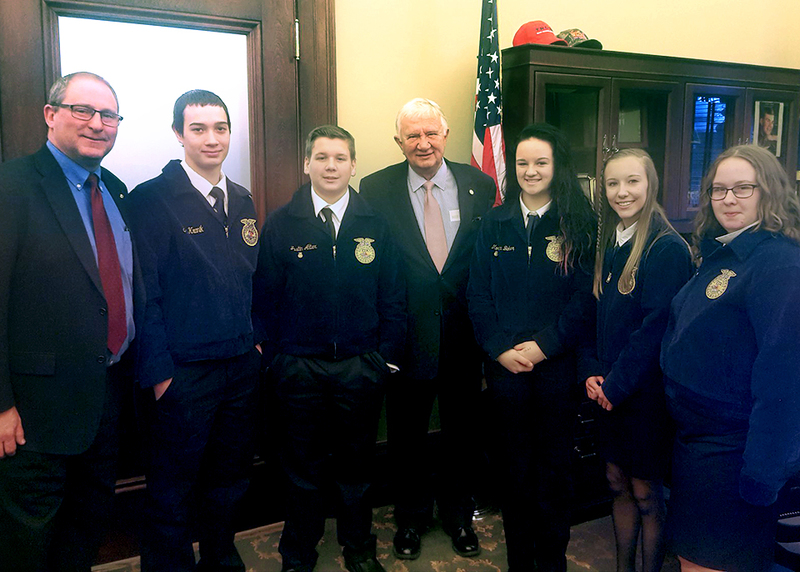 It was my pleasure to visit with students from Penns Manor FFA, who came to the Capitol on March 20 as part of the organization’s State Legislative Leadership Conference. Pennsylvania’s unemployment rate for February was unchanged from January at 4.8 percent, according to the Pennsylvania Department of Labor & Industry. The Commonwealth’s rate remained above the United States’ rate of 4.1 percent, which was also unchanged in January from the previous month. The estimated number of Pennsylvania residents working or looking for work, known as the civilian labor force, was down 3,000 over the month to 6,411,000. Resident unemployment held steady at 310,000. In the past twelve months, employment and unemployment were down by 11,000 and 21,000, respectively.